I recently started a new job as a regional sales manager for Quilting Treasures. It’s all about the fabric, baby! I get to go to quilt shops every day and talk about fabric. Yep, I’m a kid in a candy store. I’ve been very fortunate to edit sewing and quilting books the last 6 years. I’ve also been blessed to be able to design my own patterns over the last 2 years. Now I have yet another great way to express my love of all quilts. I’m one lucky dog. My territory is the northern half of California, Nevada (except for Las Vegas), Idaho and the western 2/3 of Montana. About half of the shops I visit are in California and I live in the Bay Area, so that’s nice. Most of the Nevada shops are in the Reno/Tahoe area, which isn’t far for me. I have family in Idaho and lived in Missoula, MT as a kid, so I have a deep affection for this gorgeous part of our country. I spent the past week in southern Idaho. It was snowy and windy, reminding me of my hometown in Washington state. I visited some very cosmopolitan quilt shops, some independent one-stop sewing/crafting stores and a few thriving quilt shops in homes and outbuildings. I have a fresh appreciation for the ingenious, endearing, intelligent and persevering nature of the independent quilt shop owner. Owning a successful quilt shop must be like running a night club, a hair salon, a school, AND a store. It’s all about creating a welcoming community for your customers. What a talented group of women (and a few men) I am meeting. Do you know an impressive quilt shop owner? What do you like about the shops you patronize? 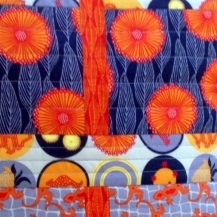 Carol’s beautiful Pop Rox fabrics were the inspiration for this design. Believe it or not, it’s a quick quilt to make. 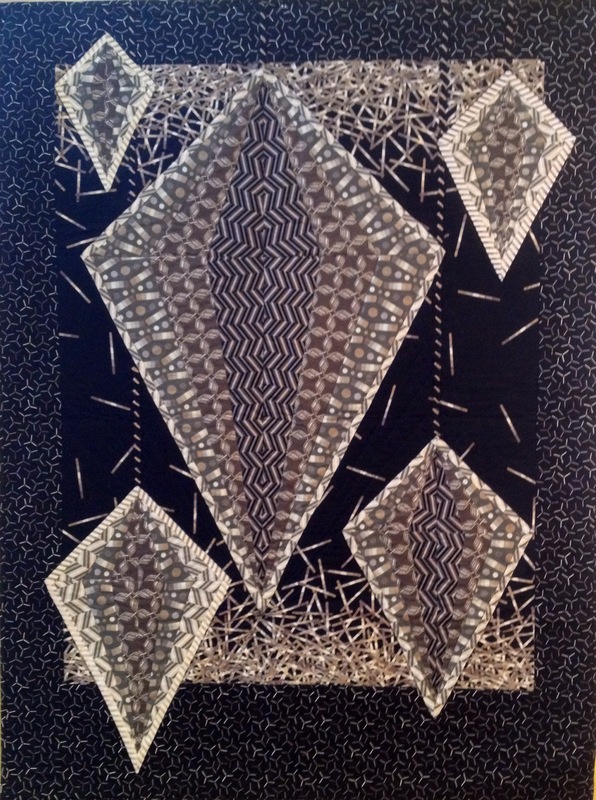 The diamond pendants are paper pieced then stitched onto the background. 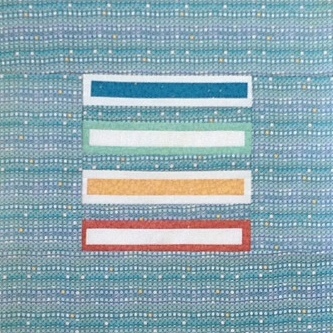 The amazing fabric designer Carol Van Zandt made this baby quilt using her Pop Rox collection. Fabric kits are available on her etsy site for just $49.95. quilt pattern instructions written by ME. 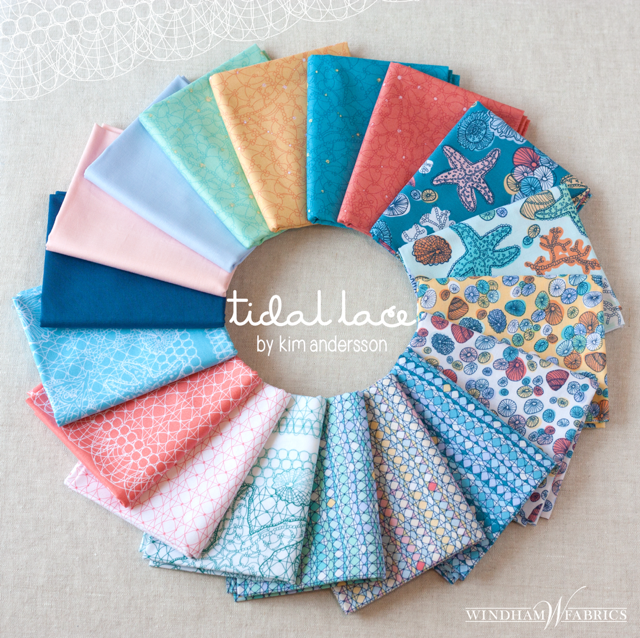 Leave a comment to win this entire gorgeous group of fat quarters from the Tidal Lace collection by Kim Andersson for Windham Fabrics. Share your favorite quick sewing project in your post. 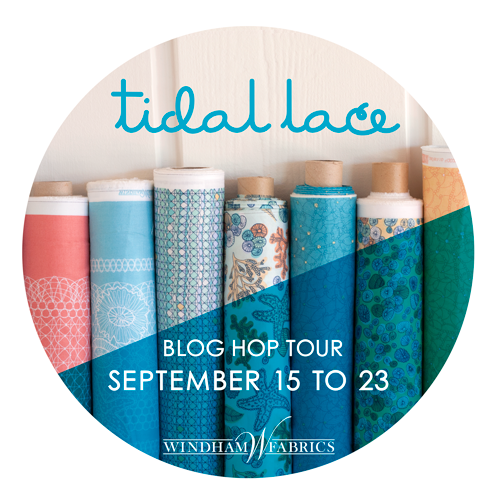 The Tidal Lace Blog Hop continues! 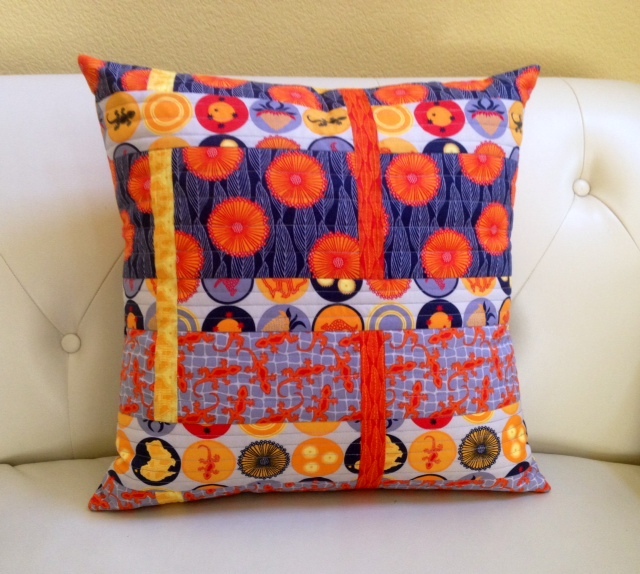 See my previous post for a quick pillow project tutorial. Check out the rest of the AMAZING projects created with this gorgeous fabric. 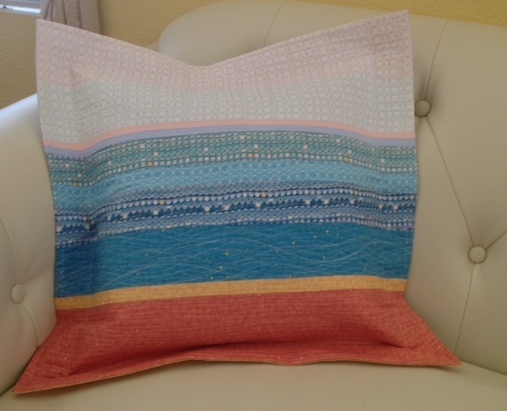 This fab pillow is made using 5 fat quarters of Terra Australis 2 fabric from Ella Blue (due in stores in September). Of course you can use any fabric you like. 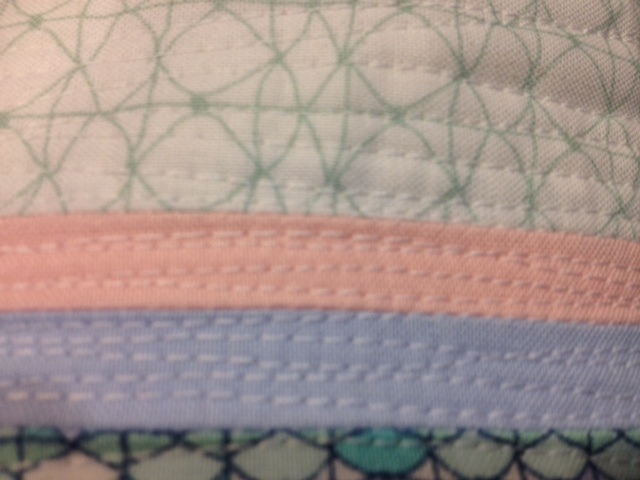 But seriously, don’t you this fabric is amazing? The pillow pattern available. It’s a great project for a beginning quilter or home sewist. The cutting and piecing is very basic. It’s a slip-cover, so no zippers or buttonholes required! 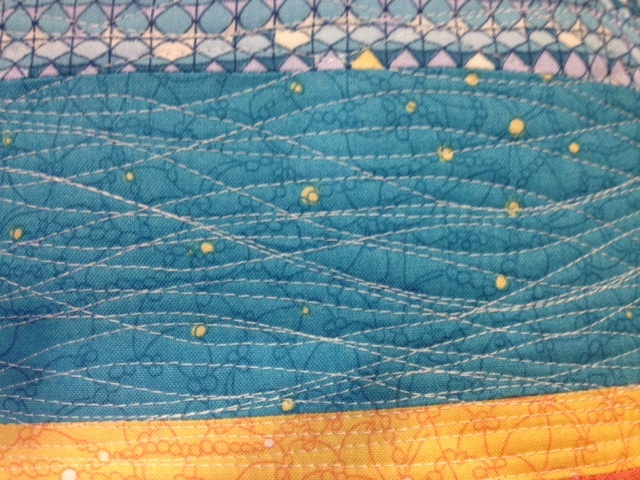 The pillow top is quilted in straight lines – easy peasy! I’m setting up my Etsy store, so for now, just shoot me an email if you want a hard copy or downloadable PDF. For those of you in the Bay Area, I’ll be teaching this class at Intrepid Thread in Milpitas, CA , October 3rd. If you haven’t discovered Intrepid Thread yet, I promise that you will LOVE it! 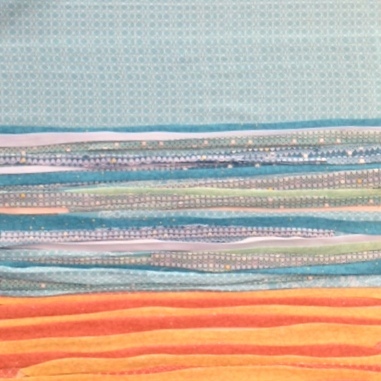 Julie carries modern quilt fabrics at great prices. All of the inventory is online, so you don’t need to be in the Bay Area to indulge yourself. Don’t you love projects that give you instant gratification? 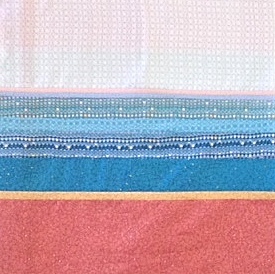 I was making a pillow with Wyndham’s new fabric collection by Kim Andersson, called Tidal Lace. It’s gorgeous and I can’t wait to show you; but wait you must, sorry. Kim and Wyndham are doing a blog hop in September, so I should be able to unveil the pillow then. 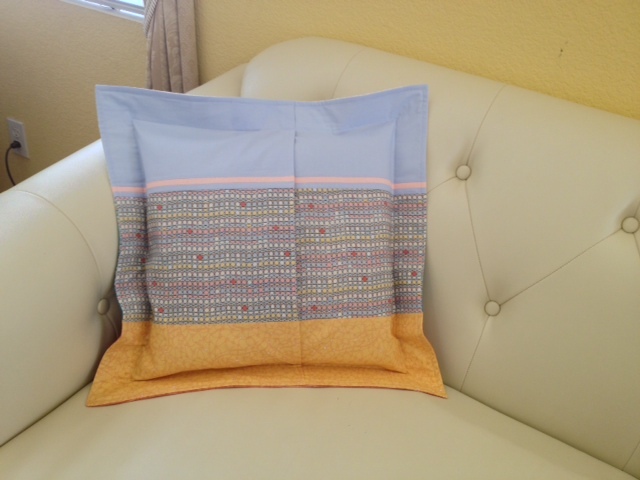 For this pillow, I wanted to stitch 2″ from the outer edge, to create a flange. 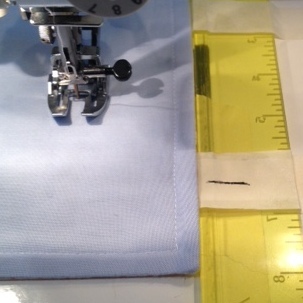 I taped my Add a Quarter ruler to the bed of my sewing machine, 2″ to the right of the needle – and voila, instant seam guide! 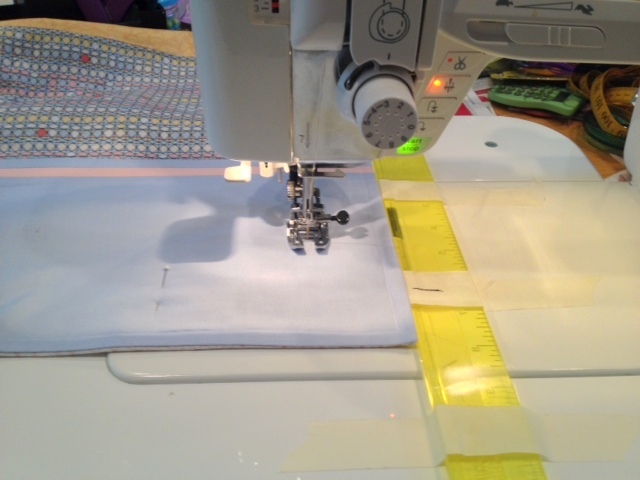 See how easy it was to sew exactly 2″ from the edge? It was like having a 2″ presser foot.